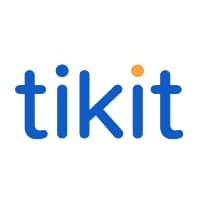 Tikit have been supporting law firms and their IT needs for more than 30 years and today, over 600 legal practices use our award-winning case and practice management system, Partner for Windows, to help manage risk, ensure compliance, and increase operational efficiency and profitability. Partner for Windows is one database on one platform and is built on Microsoft technology allowing the software to be smoothly integrated in to your existing infrastructure. It has a modern and intuitive interface making it easy for staff to learn to use, no matter what area of law they work in. One of Partner for Windows key strengths is its comprehensive in-built LSC functionality, which helps many of our clients who undertake publicly-funded cases to manage their LSC contracts profitably alongside privately-funded work. We also provide a constantly evolving range of additional modules, which enable you to tailor the system to your specific needs. The Tikit Group provides IT services and software to 90 of the top 100 UK law firms and is in a unique position to make magic circle technology accessible and affordable to the large regional and high street firm.